Dr. Vikram Nanda joined the Jindal School of Management at UT Dallas in 2015. 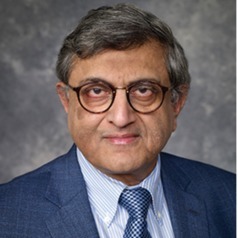 He previously held academic positions at Rutgers University, Georgia Tech, Arizona State University, The University of Michigan and The University of Southern California. Nanda has broad research interests with a focus on corporate finance and financial institutions. His work seeks to explain the attributes and performance of financial institutions.